Medical marijuana: federal grants, employment and student issues - Ennis Britton Co., L.P.A. Now that marijuana is being sold in dispensaries in Ohio, with more to open in the coming weeks, we can expect to see more people applying for a medical marijuana card, which is obtained by having a physician’s recommendation for one of the approved qualifying conditions. As the dispensaries opened, news outlets reported that approximately 3,500 Ohioans had medical marijuana cards (a person with a physician’s recommendation must register on a state website, then get a card that authorizes them to purchase from a dispensary). The number of people applying for and receiving cards is expected to “explode” now that dispensaries are open. Ohio is the 26th state in the U.S. to adopt some type of legalized marijuana scheme with each state has its own laws and regulations governing its programs. Some states have recreational marijuana while others have authorized medical marijuana As Ohio implements its program, public school districts can prepare for what will inevitably create employment and student related issues along with federal funding concerns by looking to the experience of other states that have already passed laws permitting the use of marijuana. The law authorizing medical marijuana in Ohio does not require an Ohio employer to change their drug-free workplace policies and does not prevent an employer from disciplining an employee, up to and including termination, for possessing or using drugs. Even if marijuana possession and use is legal for qualifying conditions in Ohio, Ohio employers do not have to permit it for their employees or accommodate those who have cards. In addition, marijuana remains an illegal Schedule I drug at the federal level. The federal law on this impacts schools as we discuss federal grants, below. We expect that issues concerning student and medical marijuana will come up in the context of a child with special needs who has a qualifying condition for whom the child’s parents have obtained medical marijuana. For example, a seizure disorder for which a medical marijuana tincture is recommended for management of the condition, which the parents would then request to be administered to their student either by the parents or by a school district employee pursuant to a health care plan or a 504 plan. In fact, a lawsuit was filed in Illinois on these same general facts in 2018. The parents had requested that the student, who received services for multiple disabilities as outlined in her IEP, be allowed to receive medical marijuana during the school day under the Illinois Medical Cannabis Pilot Program. The student had leukemia, and chemotherapy treatments had resulted in epilepsy and seizures. The student wore a cannabis patch on her foot and sometimes used cannabis drops on her tongue or wrists to regulate her epilepsy and seizures. The Illinois law allowing cannabis to be present in various locations excluded schools, school buses and school grounds. Their statute specifically stated that school personnel are not required to be qualified care givers who can administer medical cannabis. The school district was willing to administer the medical cannabis, but it ultimately denied the request for accommodations due to the issues of state and federal liability and criminal prosecution for violating the Illinois law. The parents sued in federal court, alleging violations of the ADA and Section 504 as well as denial of FAPE pursuant to the IDEA. 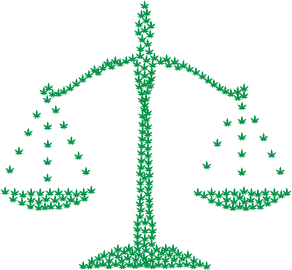 The district eventually filed a motion asking for a temporary restraining order, indicating it was willing and able to administer the medical cannabis to the student during the school day, but asked the federal court to issue an order allowing the District to possess and administer the medical cannabis, and to protect it from state or federal prosecution from doing so pursuant to the order. The court did not issue the order, and the matter settled in April of 2018, so we have no public resolution or legal precedent. However, this case illustrates the potential claims and the difficulties school districts face as medical marijuana use expands. Given the federal position that marijuana remains an illegal drug, is the issue of medical marijuana and its impact on federal grants to schools. Ohio as a state educational agency and many Ohio local educational agencies (school districts) receive federal grants in the form of Title I and U.S. Department of Agriculture school nutrition programs for low income students. As a condition of receiving and maintaining these grants, grantees and sub-grantees are required to make “a good faith effort” to maintain a drug-free workplace. This includes school buildings where work is done in connection with a grant award. The federal agencies have discretion in determining whether a grantee or sub-grantee is in compliance with the conditions of the grant and have a range of options to compel compliance. However, suspension of grant payments and termination of awards are compliance options available to the agencies, and while it would ordinarily be considered a last resort or extreme action, it is a possible consequence that districts should consider as this issue continues to unfold in Ohio. The federal agencies that award these grants have as yet declined to address the issue of medical marijuana or provide any exception for medical marijuana in as it relates to the drug free requirement of the workplaces where grant activities are carried out. While each state’s scheme of authorizing the use of medical marijuana is different, we can look to their laws and the experience of other states’ school districts in addressing employment and student issues. Ennis Britton will continue to monitor and report on the issues and legal developments in this area of the law on behalf of our clients.